III Forks Steakhouse opened last fall near Millennium Park. 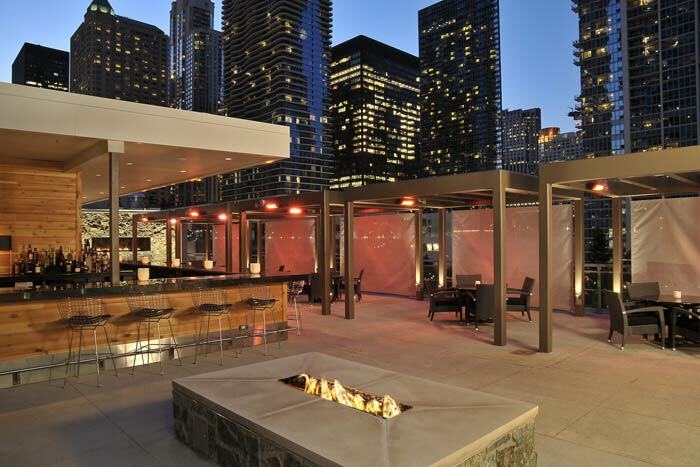 With cabanas, stone fireplaces, and a knotty pine and granite bar, its rooftop lounge overlooks the park and the city skyline and can host events for 100 guests. The lounge has its own menu of small plates, with selections such as tobiko deviled eggs, lamb meatballs, and duck served in waffle cones.